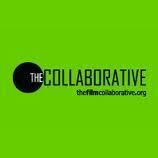 I attended a great seminar this past weekend about film marketing, put on by The Film Collaborative. If you don't know about The Film Collaborative, it's a nonprofit group that helps filmmakers with distribution of their independent films. They offer a number of options of support. I would highly recommend getting to know them, even just keeping up with their blog posts is super informative. We learned a great deal about the new trends for film marketing during the seminar and were able to confirm that many of our efforts to date do fall in line with what we should be doing. That's always reassuring. So what should you be doing? I list some highlights here. 1) Finding and building your audience. Where does your audience congregate and how will you reach them? Most important: Narrow your audience. 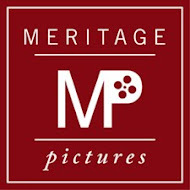 Unless you are a studio film, you cannot market to the masses. You will need to market to a very specific, niche audience. 2) Promote to your audience. Word of mouth is the most effective and least expensive. There are other avenues that will require money, such as hiring a publicist, advertising, online promotions, and affiliate marketing. 3) Use tools to reach your audience. Web sites, social networking, pitching journalists, reaching out to organizations with an interest in your film's topic, and buying ads should be considered some of the main ways of reaching your audience. One of the resounding pieces of advice was finding social media tools that work for you. Don't spread yourself too thin using too many social media tools and don't update them all with the same message. Change up what you have to say on each so your audience doesn't get bored or worse annoyed by the lack of what you have to say. And remember to update them regularly. If your audience can't count on hearing from you, they may just give up on you entirely. If you want to learn more about the advice being given by the The Film Collaborative, check out their Web site and read their blog. Everything they had to say at the seminar can be found on their site here. thanks so much for the review, we really enjoyed doing this workshop and look forward to having many more. Sheri, You should! If you ever want to collaborate on a seminar with a speaker on film production, let me know. You guys are doing a great job.